Welcome to My Heart's Celebration with Words! 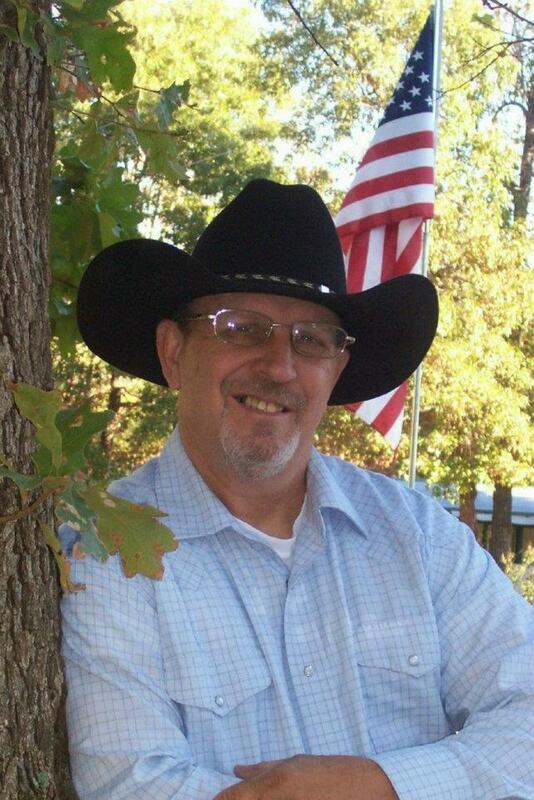 AN ANGEL BOX AUTHOR - DENNY YOUNGBLOOD TELLS ALL! I had my own suspicions what 'an angel box' might be, but I guarantee, when you read Desert Coyote Productions Author Denny Youngblood's thriller, AN ANGEL BOX....you WILL be surprise! Read along as he tells all in this fascinating interview another Desert Coyote Production's author, Teresa Stehens Richenberger. short stories, and non-fiction works. In his spare time, he enjoys drawing and painting western art and is also an accomplished musician. His wife, children, and grandchildren make his life complete. TERESA RICHENBERGER: WELCOME DENNY, IT'S SO NICE TO TALK TO YOU TODAY! DENNY YOUNGBLOOD: GLAD TO BE HERE, TERESA. TR: In your book, would you say that the story line is just about catching an escaped killer from prison? Can you tell the readers more about the story line? DY: The Angel Box story line far exceeds the adventures of catching an escaped Texas prisoner. This particular prisoner, more evil and cunning than ever, becomes an unwitting pawn in an unusual relationship. In Cellie's quest to wreak havoc and mayhem on a family, one family member, Harrison Thurston, a 12 year old boy with Down's syndrome, becomes involved with Cellie in a most unorthodox manner. Harrison is gifted with the ability to get inside Cellie's mind and play him like a chess game. TR: How and where did you get the materials and information to write your book? Your characters and the towns? DY: The setting for An Angel Box came from the small community I grew up in. Laverne, Oklahoma is a thriving, vibrant community filled with some very interesting people. It is in a rural atmosphere that Harrison and sister Abigail confront evil as has never been accomplished. The characters, prison setting, rural setting, and other materials came from extensive research and experience. TR: Who would enjoy this book the most and why? DY: Readers who would enjoy this fiction tale include those who love mystery, intrigue, suspense, and hard-core thrillers. The villain in this book is bad-to-the-bone awful. Authors cannot have a believable villain who does nice things. Cellie talks the talk and walks the walk. The hero is unusual, interesting, and quite a character on his own. Readers would enjoy the intensity of this thriller, and how it moves the story along at a heart-stopping pace. Best of all, the reader will find the ending to be a complete surprise. Only at the very end is the Angel Box revealed and its purpose. TR: Does the book take the reader inside the prison wall where the killer lived? Could you give us a little sample of what it would be like? DY: The reader is taken inside a real Texas prison and allowed to see details the public is unaware of. It is in this setting that we see, feel, hear, and smell the inmates, the walls, the corridors, the day-to-day life of a real prison instead of the make-believe prison world other authors depict. TR: On the back cover of your book, you talked about it takes a killer to save people from a killer. Could you give the readers a little more on this? DY: Sometimes, it does take a killer to take down a killer. When Harrison was twelve years old, he accidentally killed his mother. It was from this memory that drives the little boy to deal with the mad man, Cellie. TR: IS there a HERO in your book and if so, can you share some of that? DY: There are actually several heroes in An Angel Box. Harrison could easily be deemed a lovable hero. So could his sister, Abigail, the matronly sheriff, and several other lively characters. It takes more than one hero to bring down, Cellie. Even then, life dictates that even a hero's best efforts leave them wanting more. Such is An Angel Box. It will bring the readers to tears, laughter, despising Cellie, rooting for the good guys, and a genuine sense of accomplishment in this fast-paced page turner. TR: Thank you so much, Author Denny Youngblood for sharing with us about An Angel Box. Where can we buy your book? DY: It's been a pleasure, Teresa. You can find my book on Amazon, Barnes & Noble and ask for it in any bookstore. Hello to all the fantastic followers of Desert Coyote Productions! 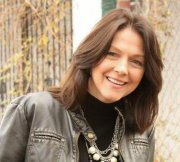 We have started doing a ‘round-robin’ of interviews with DCP authors, and today, it truly is my pleasure to be speaking with Teresa Stephens Richenberger. Her book, “Sold to the Highest Bidder”, has received a lot of notoriety. Welcome, Teresa, and congratulations on your book’s success. The fact that you have put your life story in print probably had a big impact in many ways. Can you share some of that? TSR: One of the biggest impacts that my book has had is that it lets people know there is always HOPE and to never give up on yourself or others. So many mothers have come to me and thanked me for renewing their faith for their children. At times, they’ve wanted to give up on their kids. Did you decide on the title for you book? If not, how did that develop? TSR: The title of the book came about, first because I was sold to the things in the world, and secondly, because I was sold to the Highest Bidder of all, Jesus Christ. He paid the highest price for me - a price no human man could ever pay. I totally agree with you, Teresa, and how fortunate for us Christ was the propitiation for our sins. “Through My Eyes” by Quarterback Tim Tebow has been called a Christian memoir book. Is that how you categorize “Sold to the Highest Bidder”? TSR: Yes and no. My book tells my story about me coming to Christ, but my book also reaches the secular readers as well. It will grip your heart. You’ve been at a myriad of functions since the book debuted including the 700 Club and Seeds TV. Can you give our readers an introduction to your work, and tell us more about other places where you’ve spoken? TSR: I have spoken to inmates at the prison and shared to women that are in women’s shelter and homes. I have also spoken at Texas Tech University and several Christian universities, as well. I will share to 5 women or 500 women …wherever God opens a door. In another interview I read, you stated, ‘you couldn’t keep up with the game your life was playing’. That’s pretty tough words. What exactly did it mean? TSR: The true reference is to the lies that I was living. The fantasyland I had created was not real life. The drugs and alcohol was a way to stay numb to what my life had become. Well praise the Lord, because looking at you today, that is so hard to visualize. In your words, it took several years to ‘totally sell out to God’. How did that finally come about? TSR: I had to be completely broken and understand I could not do it by myself; I needed a higher power (God) to help me. Also being a Christian and a believer, I know what it means to live under grace every day. Your journey presents such inspiration to so many. It was a tremendous challenge to turn your life around as you have done. Please share how it happened. TSR: I was not an overnight success. It took a couple of years for me to turn my life around, even after I accepted Jesus as my Savior. I had to fight every single day to choose to do the right thing. I kept going to church. Then, I got a couple of accountability partners who would hold me accountable. I learned scriptures from the Bible and would say them aloud. I had to start believing God’s word over mine, or my friends, that His word was the truth about me. The axiom “write what you know” seems to hold true here. What complex barriers were encountered while traveling back through such a dark and traumatic past? TSR: I realized how lost and broken I really was. I would take time out from writing and actually cry out to God thanking Him for rescuing me. It reminded me of what I had come though and that God’s grace and mercy was always there for me. Obviously, you’ve acquired a considerable, loyal ‘fan base’. So many appreciate and admire this dynamic testimony. Other than God, who has been the greatest champion to facilitate the publishing of your work? TSR: Desert Coyote, because I had no clue how to get my book out there or set things up. Don A. Martinez has been wonderful with all his help. Yes ma’am, all of us as DCP authors are indebted to Don, as well as his wife, Stacey. They both are amazingly talented in their own respects. There’s quite a lot of scripture quoted among the pages, but I’m curious as to which verses had the most influence as a lifeline to bring you to the place you are today? TSR: II Timothy: “I do not have a spirit of fear, but power, love, and a sound mind.” I live on this scripture, even today. I agree, those are prodigious words for all us to draw from. Teresa, thank you for giving us some insight to your life’s horrific ordeal and your journey through to God’s love and light. Is there anything further you’d like to share? TSR: That if you have faith, just the size of a mustard seed. God can, and will, take that little seed and make a mighty tree! Never lose hope. 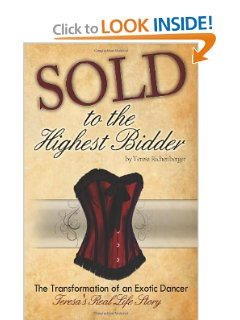 I encourage you to read my story, “Sold to the Highest Bidder!” You can get it at Amazon books, and or Ebooks, Barnes & Noble, and of course on Kindle and Nook. Ask for it at your favorite bookstores because they can also order it for you. Also, you can find me on Goodreads.com or Facebook as Teresa Richenberger. Sold to the Highest Bidder is on CBN.com, CBN online, and YouTube. If you are wrangling with life and its difficulties, I encourage everyone to check out this great novel, as well as keep up with this fantastic author because she is definitely going places sharing her story and the Good News of salvation! I always love the chance to be interviewed, but how often does an author have the opportunity of being interviewed by their PUBLISHER? Don A. Martinez is Publisher/Editor/Owner of DESERT COYOTE PRODUCTIONS which is the entity that's made it possible for me to have three fantastic novels published ... so far. I'd like to share how our conversation went. I hope everyone enjoys it as much as I did doing it. Jeannie Faulkner Barber was born and raised in Marshall, Texas. Writing has been one of two passions in her life, the other being drag racing: she drives her own racecar. She met her husband Monte at the track. She is an Officer of the East Texas Writers Association. She currently lives in Kilgore, Texas with Monte. They have three sons and nine grandchildren. Jeannie was the third author to see print from Desert Coyote Productions and has had involvement with three books through DCP: her debut novel Scent of Double Deception (with co-author Ann Alan), a solo mystery Taste of Fire about a female firefighter, and the fantasy epic Destiny Never Sleeps: Quest of the Two Queens (with Bernadette Thompson Martin). She has been published online, as well as in an anthology through her writer's group. It is my pleasure to welcome Jeannie to this interview. Don A. Martinez: I like to start off interviews by asking people to tell us something folks may not know about themselves. There's an extended bio for both yourself and Bernadette in Destiny Never Sleeps, but maybe is there anything that might have been left out of that little blurb, a little quirk that sparks your writing or your creative motor? Jeannie Faulkner Barber: The human-interest side of the whole writing relationship is that we have never met face to face - yet. 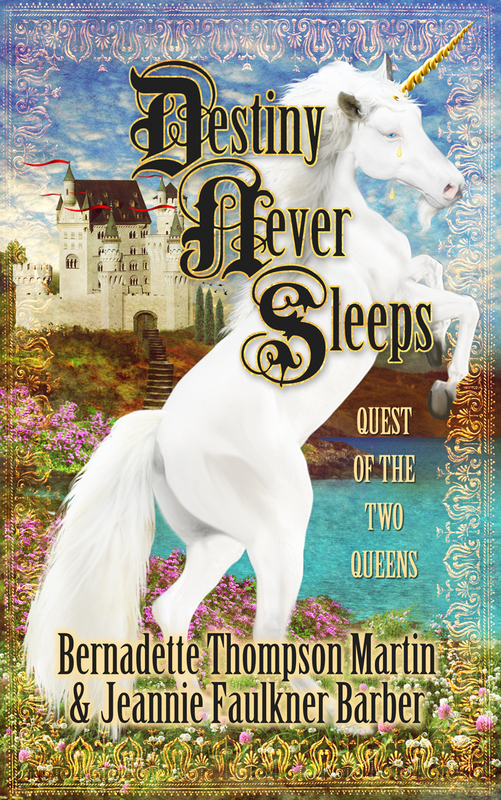 Not only did a dynamic fantasy novel develop, but an extraordinary honest and true friendship. We think so much alike that often times the same word, comment, or idea comes out in unison. When we write together, the taks becomes more joyful than just a creative mission, and we spend alot of time laughing. Don: The three books you've put out through DCP have been quite varied in subject, nature, and tone. 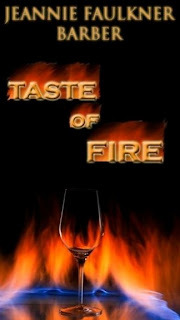 Scent had a dark, foreboding feel, with all of the multiple identities and lies; Taste of Fire showed a lot of danger, both of the disastrous and human kind; and then you have Destiny, which goes into classical epic fantasy. Is there anything that feels difficult about switching between all of these kinds of stories? JFB: There was a distinct variance with the first two novels even though suspense and mystery mold both plots. However, with Destiny, Bernadette's creativity and gregarious imagination made it an easy and fun transition. Don: Can you tell us a little bit about your writing habits? When you have a burning story in you, how do you go about getting that out of your head and onto paper? JFB: I'm more inspired and creative on rainy days, but when an idea comes, regardless of place, time or weather, it's as though the scene plays forth like a panoramic movie in my head. the trick is to type as fast as I can, especially when my characters appear to have a mind of their own. It's truly a gift from God...like how do you explain being able to walk or speak? It just comes naturally. Don : What do you use to trigger your imagination? JFB: Anything and everything. A single word can spark a complete graphic scenario, which ultimately can lead to chapter after chapter. DAM: Let's talk about what your read for yourself. Are there any recent books you've read, not necessarily from the DCP catalog, that you'd recommend? JFB: Reading gave way to the inspiration to write. I recently finished Implosion by my great author friend Fran Riedemann and now am into Ten-Gallon War by John Eisenberg. This story recants a roller coaster of events between two Texas owned NFL teams, the Dallas Cowboys and the Dallas Texans (who became the Kansas City Chiefs.) I must say though, when I'm writing, there isn't much time to read...gotta have priorities. One I haven't read, but tops my list is The Lovely Bones by Alice Sebold, which is the story of a young girl who, after being raped and murdered, watches from her personal Heaven as family and friends struggle to move on while she comes to terms with her own death. It received much critical praise and was an instant bestseller. I've always had aspirations of writing a novel in first person - a difficult task if done efficiently. Don: Who do you consider to be an influence on your writing? It's hard not to notice that your middle name is "Faulkner," would you consider William Faulkner among your influences? JFB: Most definitely! His novels are works of art and renowned classics. I'm humbled to be a relative of such great talent. Don: This might be a bit of a philosophical question, but I'm going to ask it anyway. A lot of folks have various reasons why they write, whether it's because they have a passion for their story or an overactive imagination. Why do you write? JFB: A little bit of both, of course my 'other' passion is drag racing. I have a need for speed. Don: What are your future plans in terms of writing? JFB: God gave me a grand new scheme and story which I'm keeping under wraps for the present time. Don: I've heard scuttlebutt about sequels to Destiny, would you care to elaborate? JFB: SInce writing with Bernie is as easy as breathing air, Volume 2 and 3 are already underway. Don: To get to your other life's passion, what's your greatest memory on the racetrack? JFB: Although winning many trophies and crossing that finish line first, especially in San Antonio, Texas for Super Chevy, is a monstrous thrill, my greatest moment was laying eyes upon my future, and now present, husband, Monte Barber. He's my biggest fan and supporter of all my endeavors. Don: Well, this has been a great interview, and I want to thank you, Jeannie, for taking the time to answer my questions. Before we end it, though, could you let the folks reading know all the places where we can find your presence on the Web? JFB: This has been fun and definitely a pleasure, Don. You can find all of my works on Amazon, Kindle, and Barnes and Noble. Welcome to my Amazon Author Page. I'd like to add a huge 'thank you' for the magnificent job you do as my editor and publisher at Desert Coyote Productions, as well as your talented and creative wife, Stacey. I’m very privileged to have as my quest today, Don A. Martinez, Editor and Publisher of Desert Coyote Productions, who has published three of my own novels. Wait just a moment, is that … yes, it is! Goodness, I see that one of his main characters, Kitty, has also joined us. What an extraordinary pleasant surprise. Now Don, I’ve read several of your books, but how would you describe this novel to someone who is unaware of your previous work? It’s a bit difficult to do, especially if they’re not familiar with the characters or concepts. What I would basically say would be this book involves a deeply emotional story of a girl who loves her father very much … so much so that she’s willing to risk the trials of Hell to get to his soul and rescue him from an unearned damnation. If there is another book in the works, will it also feature Kitty? Don: Of course. We can’t have the Ranch be without one of its proprietors. Kitty will be playing a role in the last book of the series, that’s a definite. Did you do any particular research, and if so, what was the most personally interesting to you? Were there any facts, symbols, or themes that you would have liked to include, but they just didn't make into the story? In the front matter, I give a shout-out to David Bruce, who put out a version of Dante’s Inferno re-written in prose (as opposed to a poem). This was my primary source for what Alanna is going to face in Hell, but some of Dante’s punishments are altered slightly to fit the more modern milieu in which Alanna is entering Hell. There was a lot of interesting material in the poem that I would’ve loved to put in … maybe spent more time with the flatterers, or tried to cross through the boiling pitch Dante found in part of Circle 8 without flying over it … but to expedite the story and not get bogged down too much in the rich symbolism of Dante’s work, I had to bypass those places for others which worked better for my history, such as every place Alanna finds one of her ancestors. Give us three "Good to Know" facts about yourself and please be creative. One is, I’m a voracious consumer of popular culture. I try finding things that are becoming mythic in our current society, and try to relate them to mythologies of old, which is a fun exercise sometimes. Another, while I don’t have the extensive experience you have behind the wheel, I had the opportunity once to run the Petty Experience, so I can honestly say I’ve driven on the track at Michigan International at a pretty decent speed for that school, I managed a respectable 120 on my best hot lap. As a writer and drag racer myself, I have to admit I'm a bit envious of your driving adventure which was more than 'respectable', my friend! Kitty: You never told me about that one. Don: Anyway … third, both me and my wife are fans of fantasy fiction, so much so that our daughter shares her first name with the female lead of the Sword of Truth series, Kahlan. And Kahlan is such a beautiful name for your sweet and beautiful baby girl. I’d try a little harder with the cover of The Advance Guard. Even the second version. Now that I have access to Photoshop and a decent cover designer, I’d want to do something much better than the stock-photo cover it currently has, or the MS Paint explosion of the original cover. What has been the toughest criticism given to you as an author, as well as the best compliment? I recently got the toughest criticism on The Advance Guard, from a Goodreads user who gave it a one-star rating and called it “immature,” which I’m willing to agree with him on, it’s not exactly my best writing on display. At least he was being constructive about why he disliked the book, and I appreciate that. 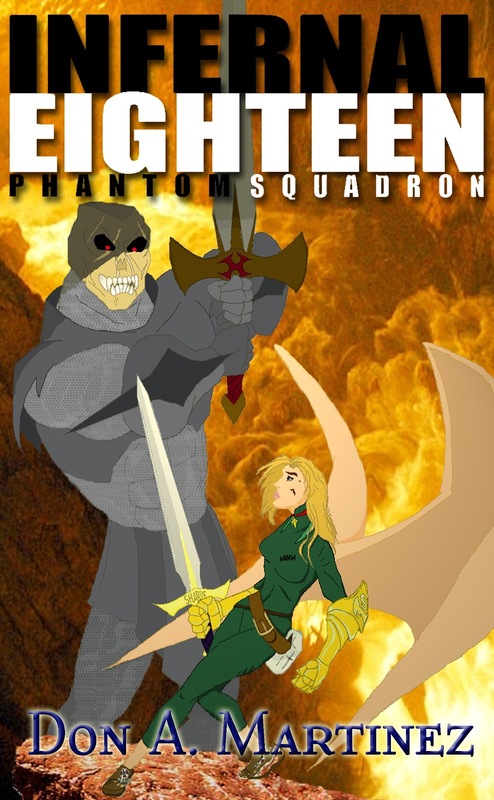 The best compliment came from one of the previous bloggers on the Tour, Kris Plausky at Second Book to the Right, when in her review of Infernal Eighteen she mentioned that she had come to love Alanna. I don’t think any author can ask any more of their character than to make readers fall in love with them, and I was very happy that Kris made this mention. Well, I agree with Ms. Plausky, so consider that a double. Now, would you share with us who designed the covers? The covers of the first two books were done by me, using the CreateSpace Cover Creator, which is why they have random stock photos on them rather than actual fantasy artwork. Insurgent’s Journal is intended to be a transitional book from Cover Creator to Photoshop, which again I did. The most recent one, though, has been a combined tour de force between a piece of artwork I drew and my wife Stacey’s abilities with Photoshop, particularly layering multiple images with each other, and I’m thoroughly happy with it, so much so that I might have to re-do the other three covers at some point. The work you and Stacey have done for me has been very impressive. Did you learn anything from writing your book, and if so, what was it? Mainly, speed ain’t everything. This book took me the longest of any of the Phantom Squadron books to finish … the others were done in a matter of anywhere from one to three months, but this one took me a good ten months to write, not only because of the research, but also because of the growth of my family … baby commitments outweigh writing at this point in time. However, I can honestly say I’m quite happy with the end results. This is so interesting, but let me pause for a moment. Kitty, would you please introduce yourself for those readers who may not realize just who you are? Okay. My name’s Katrina Salem, but folks always call me Kitty because if they don’t I punch them. I’m one of the proprietors of the Hidden-In-Plain-Sight Ranch, but for reasons related to our current status as government fugitives I’d rather not reveal the Ranch’s location. I run the ranch with my husband Cyrus and our daughter Michika. Oh, and long before I was married, I was a cat girl. A cat girl — I love that. I’m curious about something though, why do you call it the Hidden-In-Plain-Sight Ranch? Is there any significance to that in relation to your current situation? Well, we originally called it that because it was really hidden away in such a secluded place that we barely got any traffic, ever, even though the Ranch is the only landmark for miles around. Y’know, we’re so incognito that we’re hidden in plain sight. As things deteriorated, though, and we started getting harassed by the government for our perceived crimes as supernaturals, the name became more of an omen for our current work in helping innocents escape the New Empire of America. You have quite the past, having previously been a cat girl. What kind of perspective can you give us on that? Oh, there are some stories I could tell … honestly, though, the one thing I would tell your readers about living that life is, it really was a bit of a PITA from time to time. I mean after all, I’ve got my entire body covered in fur … which by the way itches like hell sometimes, especially in humid weather … I’m a foot and a half taller than I’m used to because I’m always walking on the balls of my feet, so I’d clock myself on doorways sometimes, and don’t get me started on how weird it was to have something extra in my pants. It was a TAIL. Get your minds out of the gutter, all’a you! You are a hoot, Kitty! What do you currently do at the Ranch? Is your family involved? Right now we’re ferrying supernaturals out of the New Empire and getting them to a place where they’ll be safe and undetected. Because of our need for secrecy, I can’t tell you exactly where they’re going … you never know who’s going to be listening, after all. My husband set up the pathway and assists me with the day-to-day operations of the regular part of the Ranch, since we still have to have our working aspect, which includes our herds of bison. Michika, though, she’s been going out on expeditions with her best friend Alanna Sharpe … she’s the daughter of a couple of very close family friends of ours … and trying to take the fight directly to the New Empire. What is your opinion on our current gun control debate? Don’t punish us responsible gun owners. Besides that, good luck taking any of my guns away. I’ve got a personal stockpile hidden in a place in the Ranch only I can access. If any New Empire blueshirt comes through trying to take my guns, he’s going to leave with some serious alterations at the hands of my husband, my daughter, and my Smith & Wessons. How does your military past influence your present? Does it change how you are as a wife and mother, as opposed to others? I don’t think it’s affected how I parent Michika that much. She’s sixteen now, getting into that part of her life when she thinks she’s indestructible, and to a certain extent she might be, but I still worry. Oh sure, I taught her to shoot almost the minute she was out of diapers, but I still punished her if she disobeyed me or Cyrus, and we still did kind of girly things together. I don’t think I’m that much of a different mother. Don: Kitty, you were a Navy SEAL. That kind of changes just about everything. Kitty: Shut up, you. I’m workin’ the room here! Don, she might be YOUR character, but I believe we all know who's the 'boss'. LOL. What’s the defining quality of your personality, Kitty? I’d like to think that I’m a strong, loyal ally. Cyrus sees through that, though, and he knows that in certain regards I can be a big softie. When the chips are down, I’m right behind you, running into the fight. This might be a silly question to ask, but what is your opinion of your author? He’s a nice guy and all, but pretty useless in a fight. Kitty: And there’s nothing wrong with that, buddy. Let me finish, okay? He’s a nice guy, from what I understand he’s a pretty decent dad and an okay husband, but I think he really shines when he writes. Don: You’re just saying that so you’ll get some juicier stuff to do. Kitty: You’re damn right I am. I must say, this has been one of the most intensified interviews I’ve had ever had the opportunity to do. Thank you, Don and Kitty for such a mesmerizing and spectacular time! Readers, be sure to check out Don’s links and order your copies of all his incredible novels. However, how many of us know, as Paul Harvey would say … the rest of the story? There was a kindly nobleman whose wife had died of an illness leaving the nobleman and his three daughters in despair. After losing all his money in useless and bad inventions, the family had to move into a peasant's cottage where the daughters did their own cooking, sewing, and cleaning. Legend says, when it came time for the daughters to marry, the father became even more depressed because his girls had no dowries, money, and property given to the new husbands’ family. 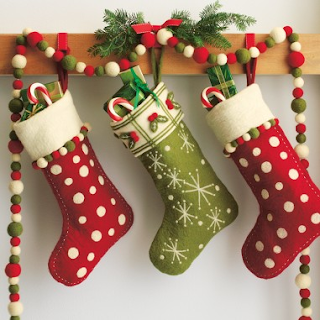 One night, the daughters had washed out their clothing and hung their stockings over the fireplace to dry. However, a miracle happened one cold December night. Saint Nicholas, knowing the despair of the father, stopped by the nobleman's house. Looking in the window he saw the family had gone to bed and noticed the dangling stockings. Inspiration struck Saint Nicholas. He took three small bags of gold from his pouch and threw them one by one down the chimney. Each landed in the stockings. This afforded the nobleman to see his daughters’ weddings and to live a long, happy life surrounded by adoring grandchildren. All over the world, the tradition continued at Christmas. In France, children place their shoes by the fireplace which dates back to peasants wore wooden shoes. Children in Holland fill their shoes with hay and a carrot for the horse of Sintirklass. In Hungary, they shine their shoes before putting them near the door or a windowsill. Italian children leave their shoes out the night before Epiphany, January 5, for La Befana the good witch. However, in Puerto Rico children put greens and flowers in small boxes and place them under their beds for the camels of the Three Kings. Whether you prepare socks, shoes, or boxes, have YOU considered the possibility of making a ‘miracle’ happen for someone this Christmas? 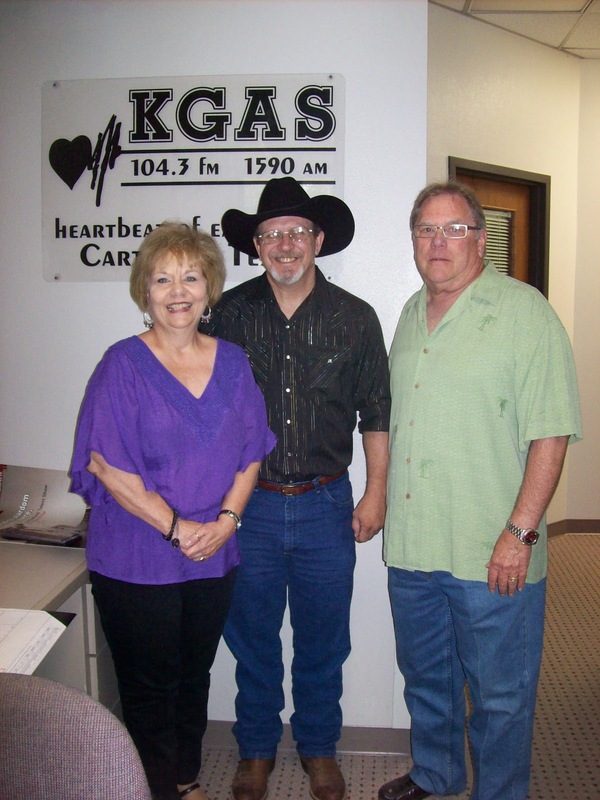 Just had to stop by KGAS Radio station and thank the General Manager, Jerry Hanszen (right) for all the advertising they did for Denny Youngblood (center) and my recent book signing we had at the Sammy Brown Library in Carthage, Texas. Denny and I are first and foremost friends, and the fact we're published authors makes it fun to share events together. We've had five previous engagements through the first six months of 2012 with many, many more planned. I hope you'll take the time to check the Scheduled Events page on my website: www.jeanniebarber.com. The Friday before Easter is a Christan holiday which is called 'Good Friday'. Most everyone looks at any Friday as being good because the weekend comes next. Religiously speaking, we celebrate Good Friday as the day Jesus Christ was crucified on the cross. People ask...what is so GOOD about Good Friday if our Lord and Saviour died? The answer - that is the day He died in our place for our sins because of His love for us. He conquered death, overcame the pits of Hell, and now sits at the right hand of God. Freely, we live under grace each day. So, joyfully celebrate Good Friday, as well as Easter knowing that you are loved unconditionally. To know Jesus as your Saviour and receive eternal life just remember the ABC's. ACKNOWLEDGE Him as Saviour, BELIEVE He died for your sins, and CALL upon his name and ask Him into your heart. Without Christ’s selfless act, without His choosing to give His life, we would be living by the law, and not by grace. Every day is truly GOOD when you have a personal relationship with God. When I'm not writing, my husband and I dragrace. He has a 89 Z28 Camaro and I have an 81 Monte Carlo, white with pink stripes, of course. *smile* We met at the dragstrip and so... there's the beginning of a phenomenal story! We have 3 married sons who gave us a total of 9 gorgeous grandkids. God is SO good!